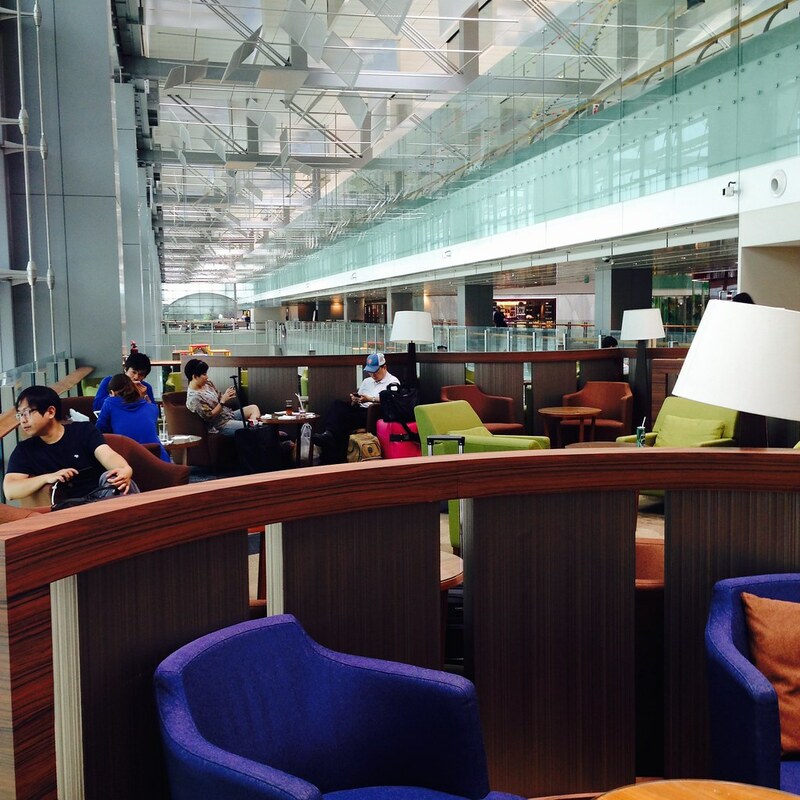 Airport lounges in Changi Airport Terminal 3 is fairly simple. They are all served by one escalator. If you turn to your left, you’ll hit the Krisflyer Lounges. The SATS Premier Lounge is currently under renovation. 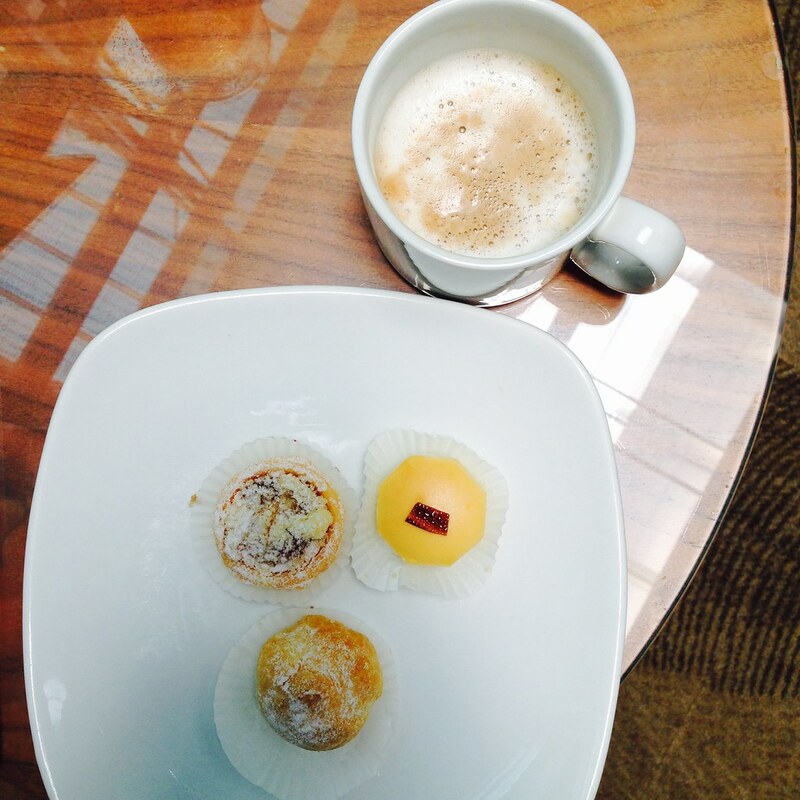 To your right, it’s the Dnata Lounge and the Ambassador Transit Lounge. 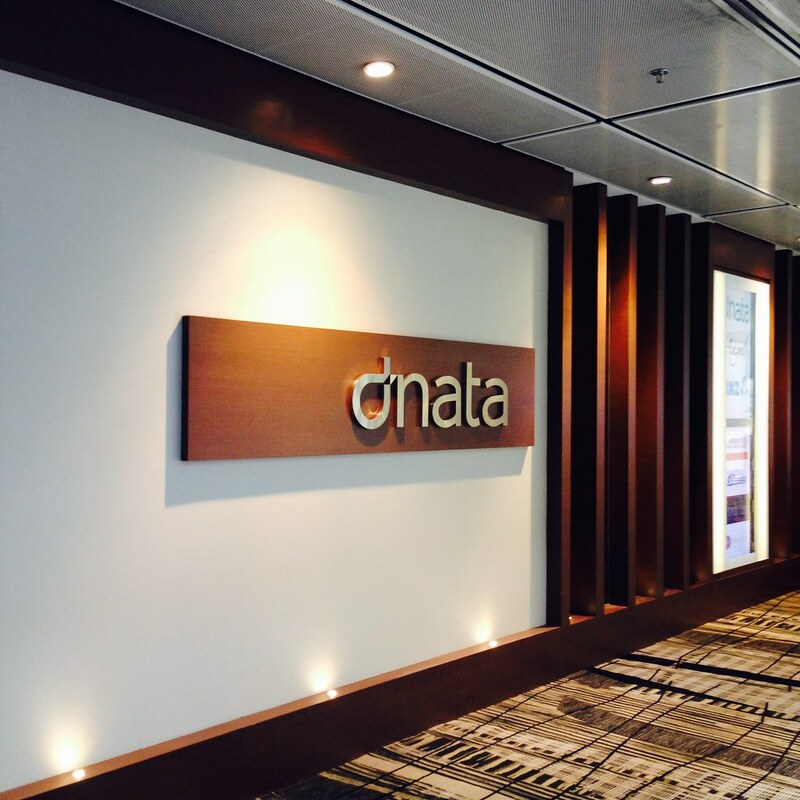 The Dnata Lounge is medium sized, and divided into three seating areas. There is a quiet reading/business area by the bathrooms and showers, a dining area by the buffet, and a main sitting area. The main sitting area is really nice, as it is very open, offers tarmac views, and opens up to the general terminal, overlooking the ground level. 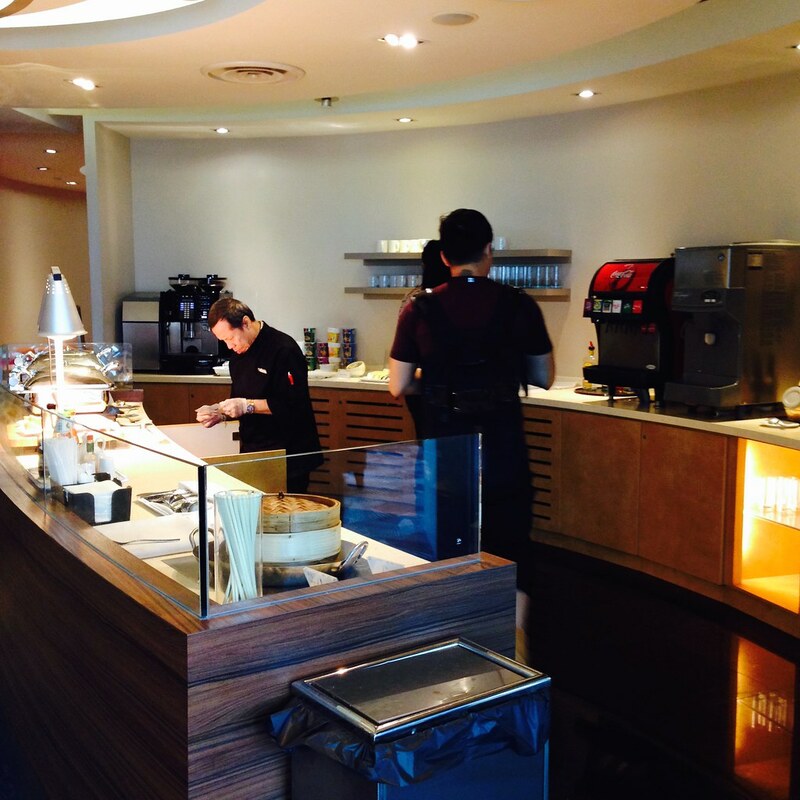 The food selection is small (about four hot stations), but definitely adequate (especially relative to American lounges). Today, they had BBQ pork buns, seafood dumplings, two types of pies (pesto chicken and spinach and feta), pastries, biriyani, chicken tikka masala, dhaal, and three types of cold, wrapped sandwiches, in addition to bite-sized desserts. 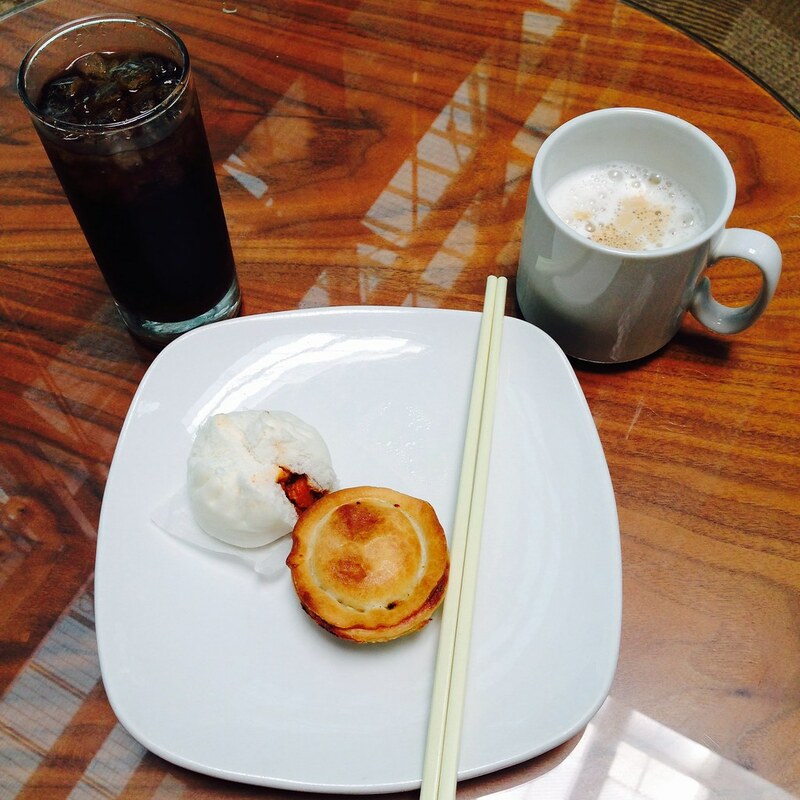 I wasn’t too hungry, so I just had the pie, a bun, and dumplings. They were decent. Drinks on offer are decent as well: espressos, tea, hard liquor (Smirnoff vodka, Bacardi rum, gin, Johnny Walker Black Label scotch), with a soda machine, and red and wine wines. The service staff are also very proactive – they clear the dishes ever so often. The wifi is decent, and there are adequate power points (every other seat). My main complaint? They only have the Singapore three-pin plug, so if you have other types of plugs, good luck. Try asking the counter staff nicely?